I’m kind of stuck in my ways. Whenever I go out to eat, I tend to order steak. I love a tender, juicy Filet Mignon, and even though I look through the menu at all the other items, I always seem to order a steak. Medium rare thank you. Here lately I’ve actually been recreating the steakhouse experience at home. This post is sponsored by Idahoan® Premium Steakhouse® Potato Soups. I have been compensated for my participation in this campaign as a member of the Mom It Forward Influencer Network. I think everyone probably has a favorite steakhouse, mine was in Henderson, Nevada. The food was so incredible. 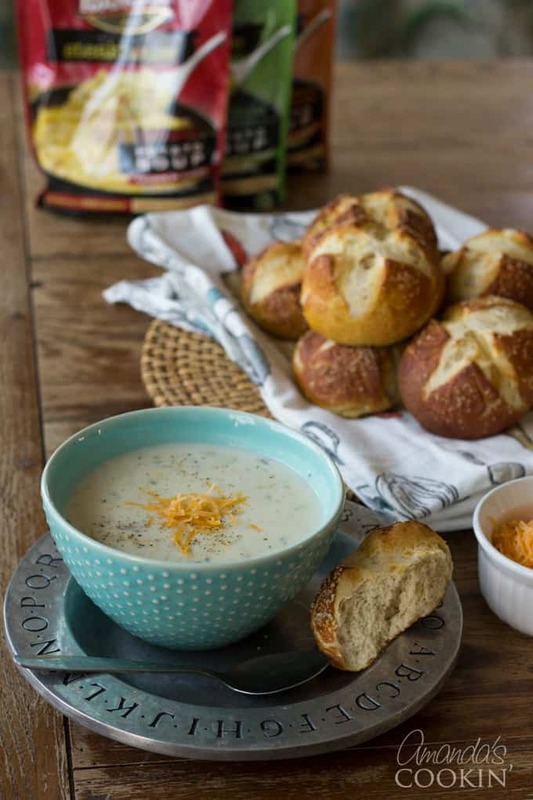 We would start with a basket of home baked Bretzel rolls and bread, followed by a steaming bowl of cream of potato soup. Next up was a tender Filet Mignon and a twice baked potato that was so big we always had leftovers. Dinner was followed by a fresh brewed cup of coffee served in a French press right at the table. I loved that experience! You can recreate the steakhouse experience at home. In fact, I recently read that almost 80% of Americans, including over 90% of parents, wish it were easier to recreate a steakhouse experience at home. It’s not hard, and it doesn’t have to be expensive either. Perfect for snowy nights when you just don’t want to hit the roads, or for special occasions such as birthdays, anniversaries and holidays like Valentine’s Day. A couple of years ago my oldest son told me about Idahoan mashed potatoes. I tried them and haven’t made mashed potatoes from scratch since then. They are my go-to mashed potatoes now! 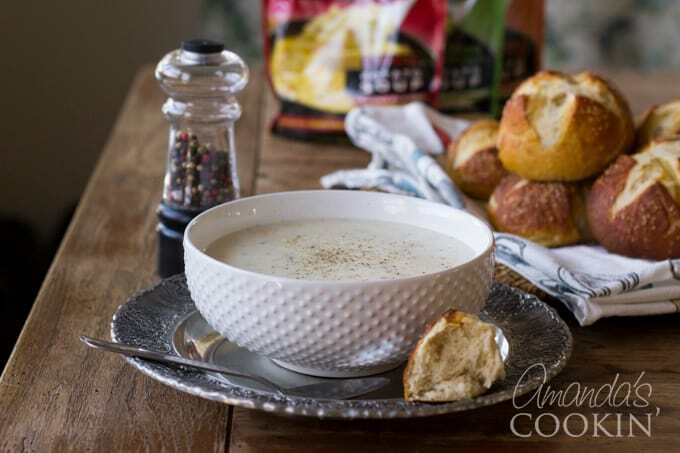 So when I found out about Idahoan® Premium Steakhouse® Potato Soups, I couldn’t wait to try them and incorporate them into my steakhouse experience. They are available in four delicious flavor varieties: Creamy Potato, Loaded Potato, Cheddar Broccoli and Three Cheese Chipotle. Do you have coffee or coffee beans for your French press? Check for cream and sugar as well. 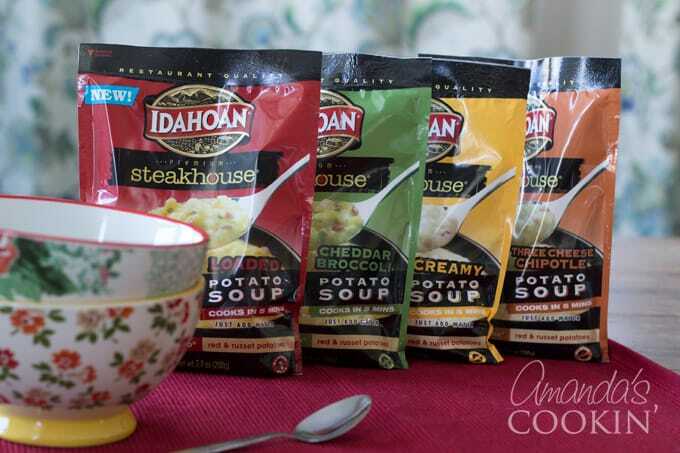 Something to keep in mind when planning your meal is that the Idahoan® Premium Steakhouse® Potato Soups only take 5 minutes to cook. Really! You may have tried other dried soups that can take 15 minutes or more, but I promise that’s not the case with these. 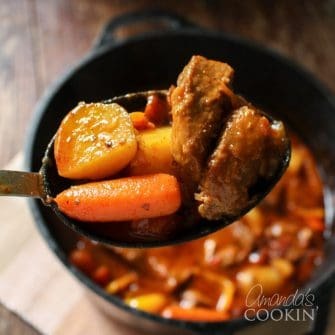 So you can concentrate on preparing the rest of the meal and making the soup will be a snap. 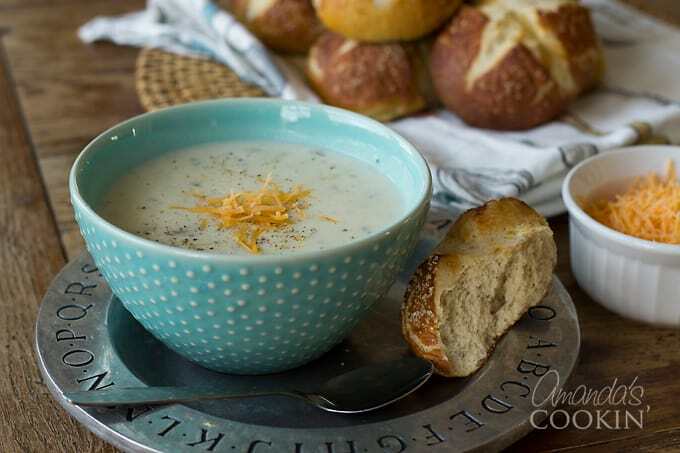 if you garnish with bacon, you’ll spend more time cooking that than you will the soup! The homemade Bretzel rolls can be made early in the day. You can wrap them in foil and reheat them in a 350 F oven just before serving. Make sure you start your baked potatoes or twice baked potatoes about 90 minutes before serving. Start the soup at the same time as you start the steak. Once steak is cooked, allow it to rest for at least 5 minutes under tented foil. Soup can be kept warm while steak is resting. 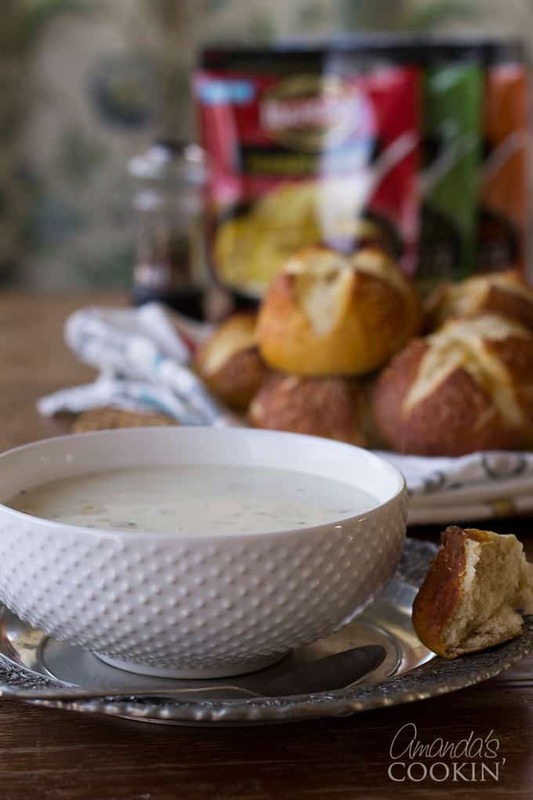 Visit Idahoan® Foods on Facebook, Twitter – @idahoanfoods, on Pinterest and on Instagram – @idahoanfoods. 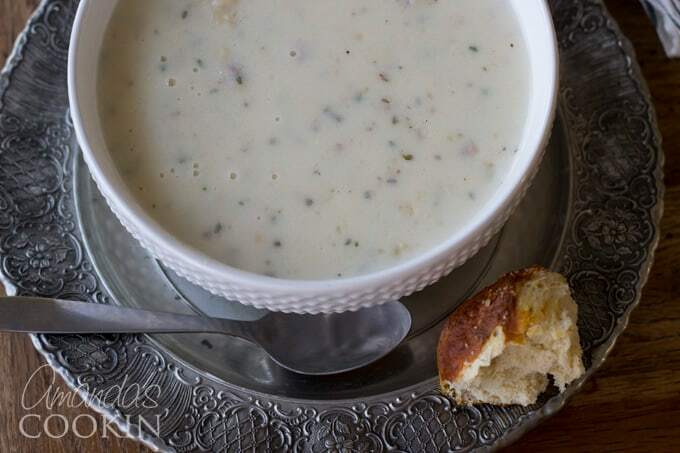 You can also check out the hashtag #IdahoanSteakhouseSoups on your favorite social media platform.